After last weeks photo shoot in the extreme cold, it was very refreshing going out this week in the mid 30s. So much so, in fact, that I took this shot practically rolling around on the frozen concrete. 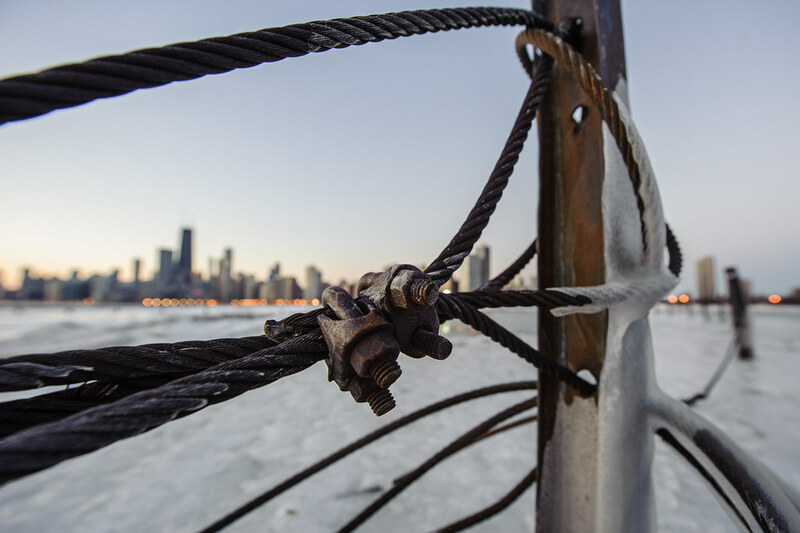 The Chicago skyline through some thick metal wire near North Ave. Beach.